It's a new week and time for another Bitten By the Bug Design Team Project. This week's choice was picked by my fellow Design Team member Krista! 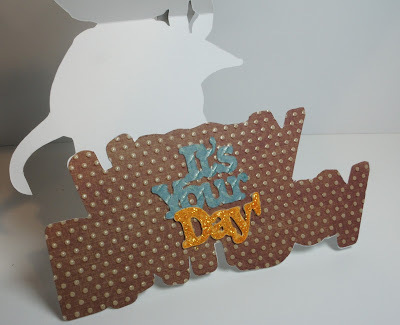 She chose the Armadillo on The Birthday Bash Cricut cartridge. It is on page 66. This is the second week in a row that I have had to do some research on my project. Last week hummingbirds--what the heck color are hummingbirds, LOL! This week armadillos! 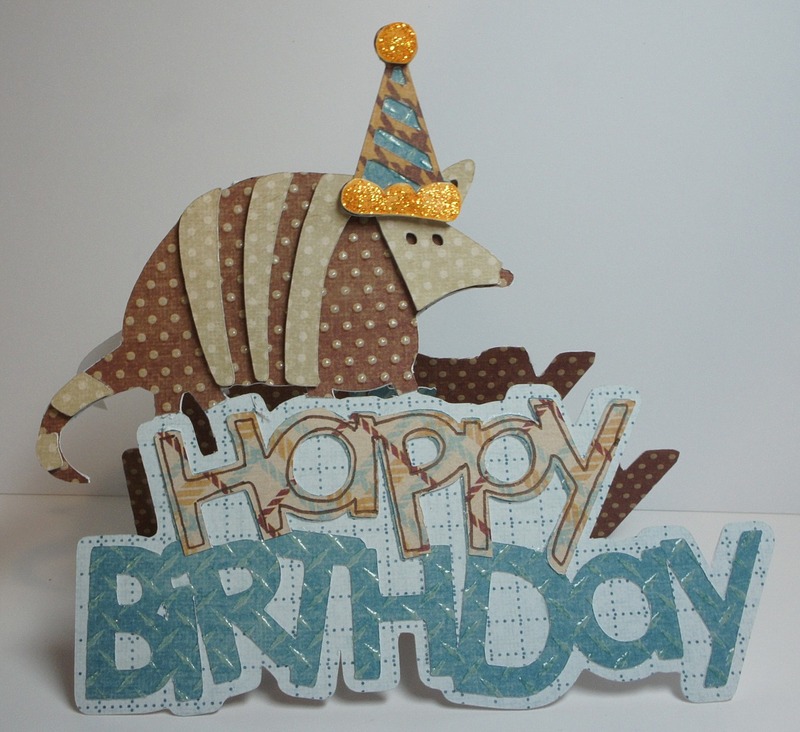 I didn't even know what an armadillo looked like more less the colors and as I have said before the "cutsey" stuff just isn't me....soooo, I took a man's birthday approach. BTW--My husband looked over my shoulder when I was doing this and said, oh...an armadillo, so I guess I was sort on the right track! I decided to use the image that had the armadillo with the Happy Birthday instead of the armadillo with the number 6. I welded two of these together in my Gypsy and came up with no card base...nothing new. 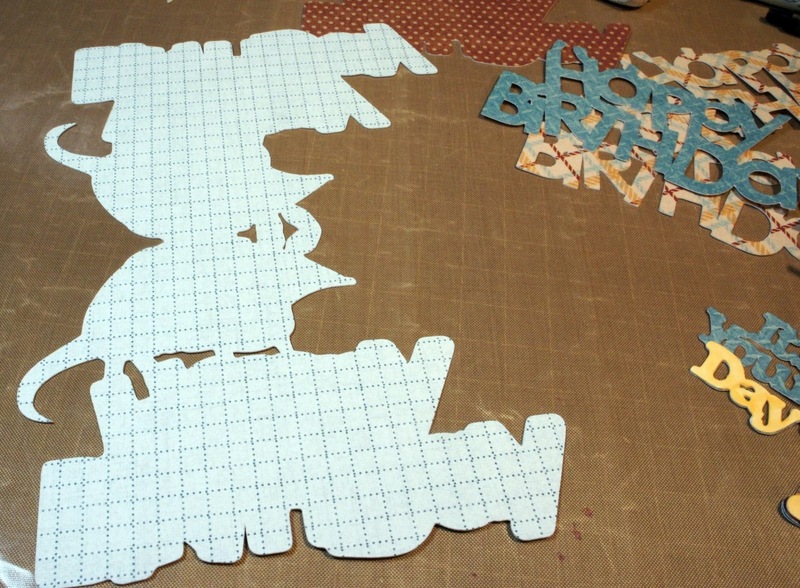 I did some hand cutting up of multiple layers I made to get the different colors. For the inside of my card, I used the piece I cut away from the armadillo. The cardstock I used was already textured so it went together pretty easy. Well now I know what a hummingbird and a armadillo look like! What are they going to throw at me next week! This is too much like school, LOL! Please go over to Bitten By The Bug 2 and see all the other Armadillo creations! I just love your armadillo colors you chose. Great job making it into a shaped card, too. Do you feel like you need a zoology degree to create on this team? Love the textured cardstock, perfect paper pick! LOL Oh so funny you are but I have to agree, Designing on BBTB2 truly is a challenge each week, lol! Who would have thought, hee hee. But oh so much fun! And at least you cna say you learned something new, lol! 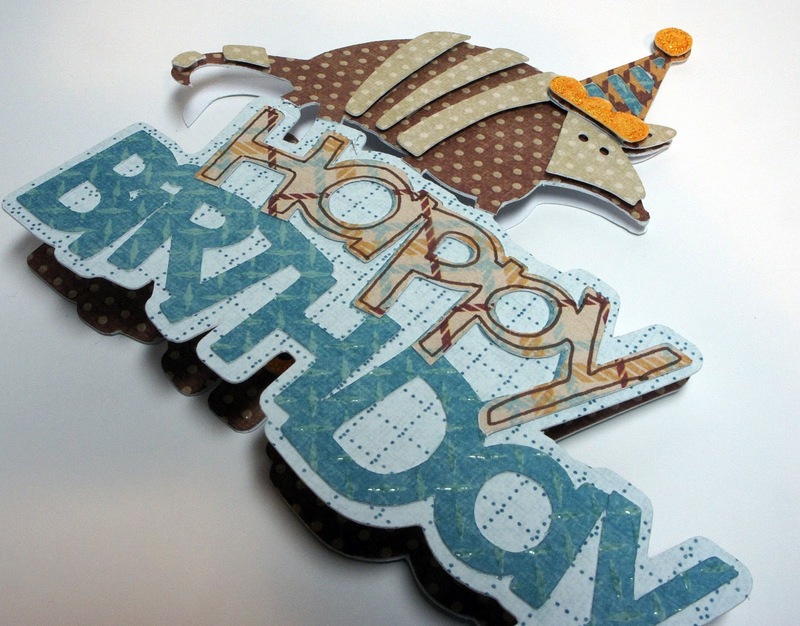 I love your card and the colors are wonderful, Any Guy would love this card! Maria, your card is one of my favs this week...great job! this is such a fun card, I love it!